The diminutive winger began his career in non-league with Guiseley before joining Premier League side AFC Bournemouth. 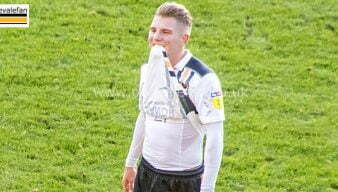 He joined the Valiants on loan in 2016 and impressed with several match-winning performances. The Valiants attempted to sign him on a permanent basis in January 2017. The bid was unsuccessful although Whitfield did join on loan till the end of the season. The Valiants did get their man the following season when Whitfield was signed on a permanent basis after agreeing a two-year deal with the club. Reports suggest that Port Vale attacker Ben Whitfield has suffered a ligament injury which is keeping him out of the side. 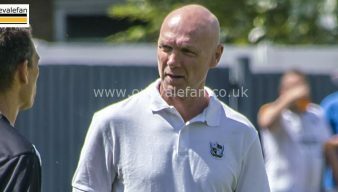 Port Vale manager Neil Aspin says four of his squad are ruled out through injury while two other players have missed training because of knocks. Port Vale loanee Ben Whitfield has been offered a new contract by his parent club, Premier League side Bournemouth. 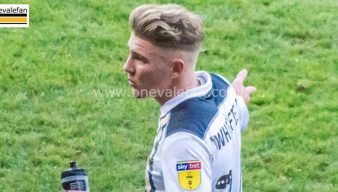 Vote: should Vale sign Ben Whitfield permanently in the summer? Loanee Ben Whitfield has had an up and down season with the Valiants. On his day the youngster can be a match winner but has been inconsistent. So should Vale make a permanent bid for the 21 year-old? Voting is now open for the Port Vale goal of the 2017-18 season. Port Vale has made three changes for the game against local rivals Crewe Alexandra. 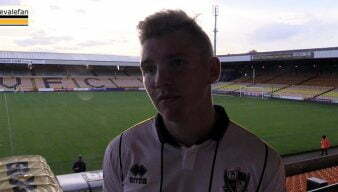 You can watch brief highlights of a controversial and thrilling encounter at Vale Park on Friday afternoon. Loanee Ben Whitfield has hailed the team’s character after ten-man Port Vale picked up their first win of 2018. Danny Pugh opened the scoring and was then sent-off but it was sub Ben Whitfield who was the hero as his late winner earned Vale’s ten men a vital home win over struggling Chesterfield.